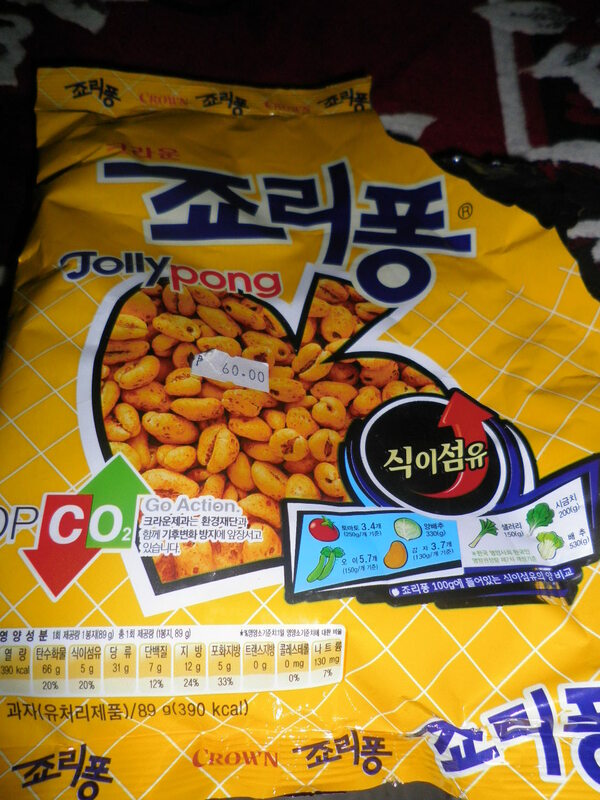 So I saw Simon and Martina’s review some Korean snacks and I got curios about a snack called Jolly Pong. So one time I went Korean grocery store shopping, I made sure I bought one. There are a lot of Korean are a handful of grocery stores in the city I live in because there are a lot of Korean who come here to study. So I had no difficulty looking for the the snack I wanted to buy. But I was shocked when I saw how much it was, it was like the price of 3 big Piatos snacks combined! But nevertheless I bought one. When I opened the package, a small cardboard with a design came with it. I was with a friend that time and we both were puzzled. We thought it was like a collectible cardboard cut out that you usually see in those cereal boxes. 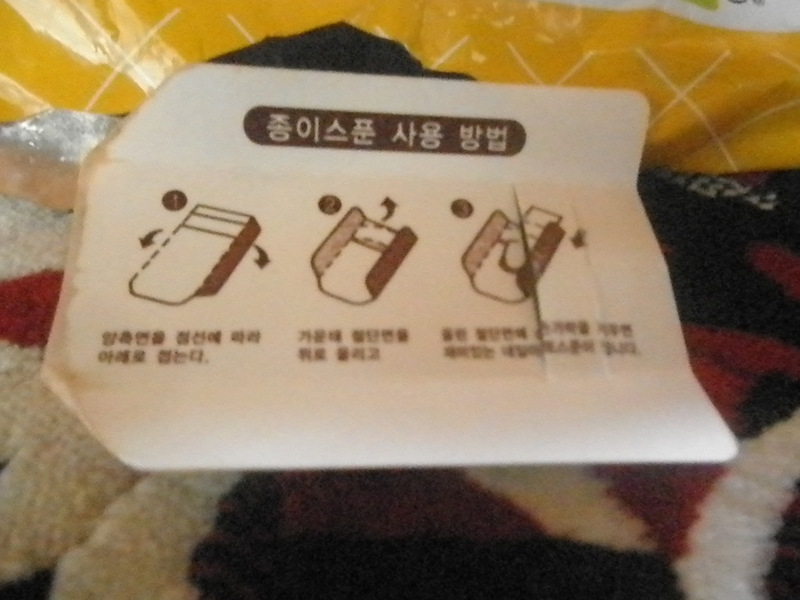 I tried to read the instructions with my limited korean and found out that’s it’s supposed to be folded to scoop the jolly pang! How cool is that. This is how it looks like. 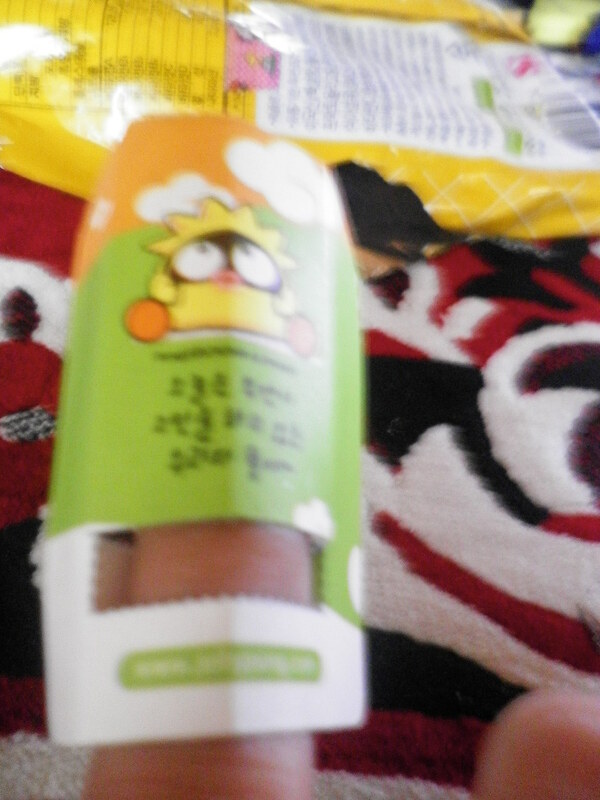 I just love how ingenious Koreans are when it comes to packaging. You should see their ice cream packages! They always make packages that are beneficial to their customers. It’s like rice or some wheat popped into something like a pop corn. It’s flavored like a caramel flavored pop corn. 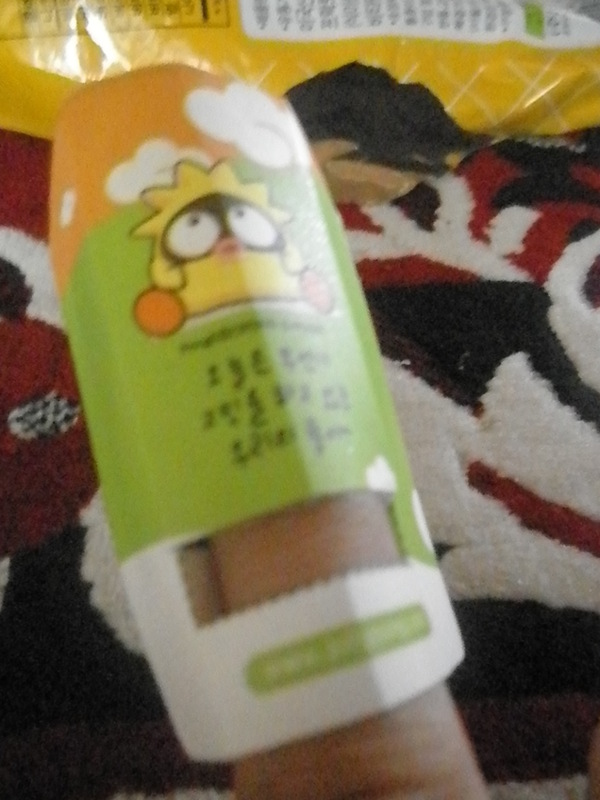 When I tasted it, I didn’t really understand the taste and I didn’t know how to describe it. But the more I ate, the more I liked it. And it took me about 2 days to eat it (stopping in between of course) because it was just too many. I couldn’t eat all of it at one sitting because it became too sweet the more I ate. It’s a snack meant to be shared with friends. I would definitely buy this snack again especially when I have those movie marathons! If you buy it just look for this sign and don’t forget to use the little cardboard box a scoop for your Jolly Pong! *pictures are mine, take out with proper credits thanks! I tried Jolly Pong for the first time today and it was delicious! Unlike you, I ate the whole bag at one time! And thanks for posting photos of the scooper. I had no idea what the card was for. Try it with milk. It’s a great cereal. It’s really nice to see a non-Korean who likes Jolly Pong! 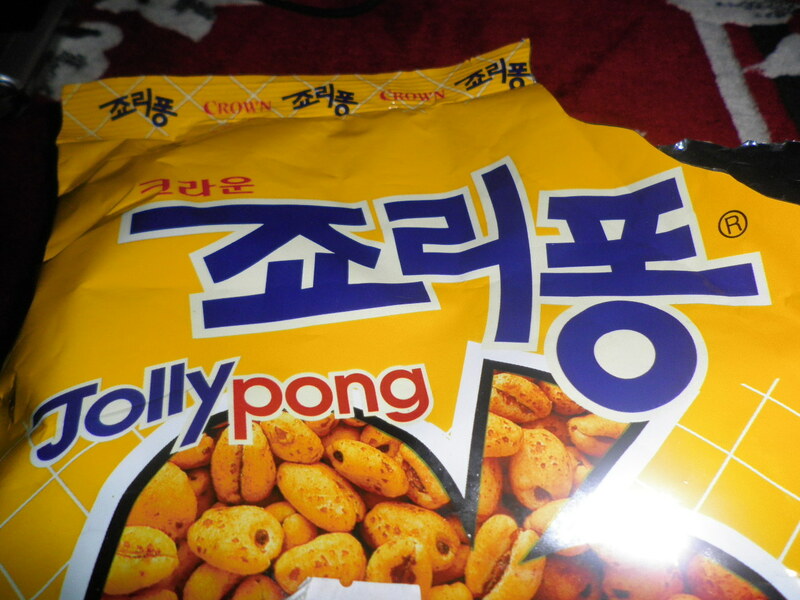 In South Korea, the reason why Jolly Pong is because of milk. Koreans put Jolly Pong into milk and eat like how people eat cereals. Try with milk! i didn’t know you could do that! but i tried it and it’s really good! Yes! 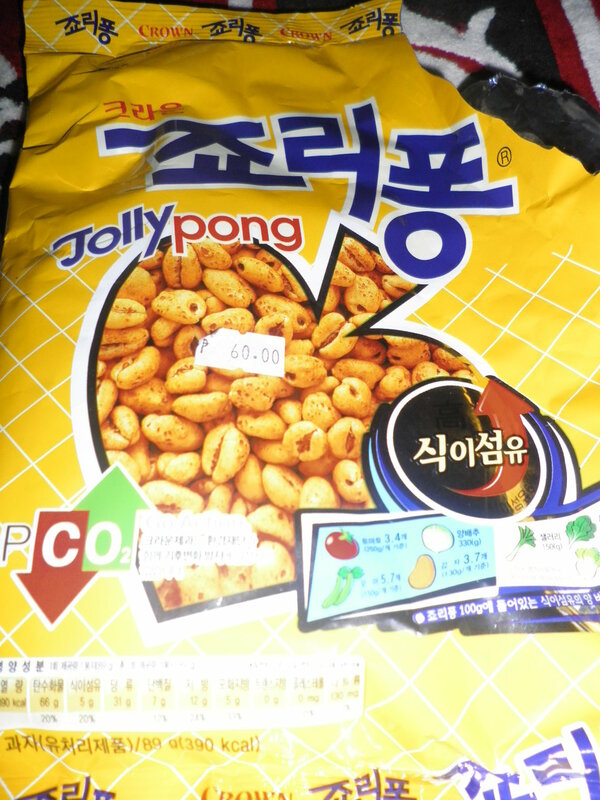 I live in Atlanta, GA and bought my first bag of Jolly Pong at HMart! My husband and I LOVE IT! We were tempted to hide it from the kids and eat it all ourselves – LOL! 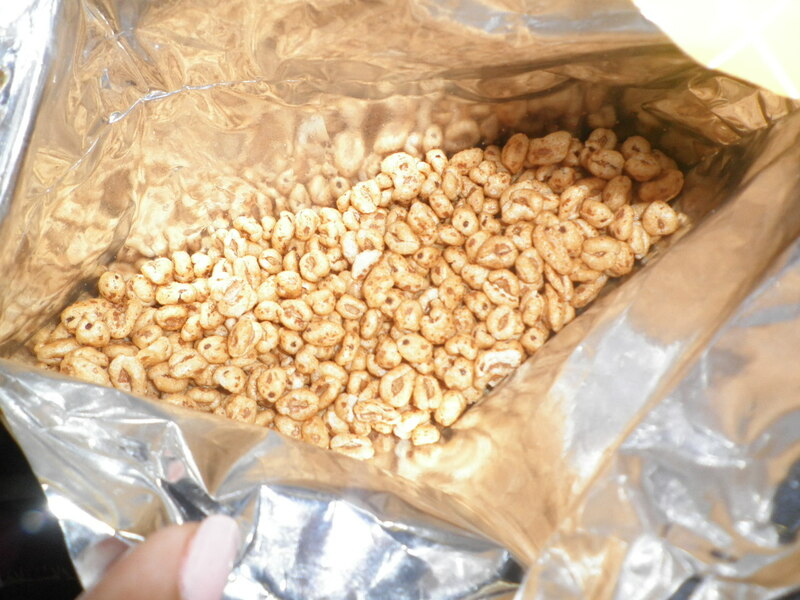 As for the taste, well, it is similar, although much better than Sugar Smack Cereal. Yes, do try it with Milk as well 🙂 YUM!!! Check out golden crisp or kellog smacks!!! i’ve just bought some of this. It’s very similar to Sugar Puffs, a popular breakfast cereal here in the UK, although Jolly Pong has less of a sweet taste. 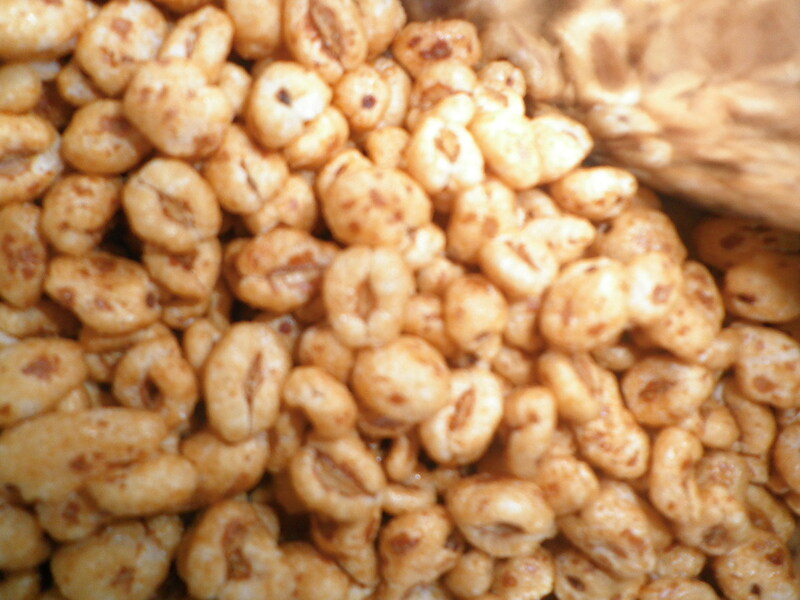 I’ve poured milk on mine and it’s making a faint snap, crackle and pop noise as the milk fills the rice grains – rather like (but less noisy than) Rice Krispies, another UK cereal.